In an interview with Austrian daily “Presse”, Serbian President Tomislav Nikolic voiced his opinon on the political crisis on Crimea and the future about talks between Serbia and Kosovo. 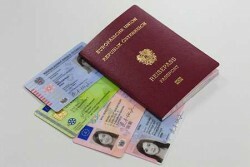 55 percent of the Serbian citizens are in favor of the country becoming an EU member. 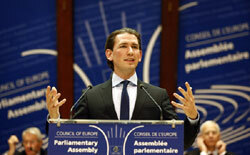 Albania hopes that EU Accession Negotiations will take place in June 2014. 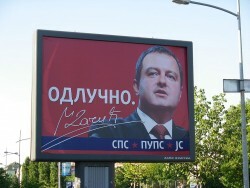 Prime Minister Dacic considers results as “historic event” for Serbia. In Croatia´s capital Zagreb, the Southeast European countries agreed on putting more common effort into innovation based growth strategies. In Southeastern Europe, the labor market conditions are similarly bad as in Southern Europe. Above all, youth unemployment is extremely high. On the occasion of a meeting with head of the EU Delegation to Serbia, Serbia´s Prime Minister Ivica Dacic expressed his willingness to deepen the reform process. 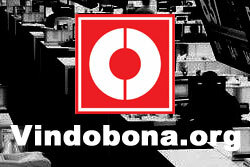 Talks on Serbia's EU accession to start no later than January. 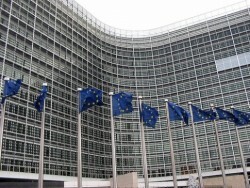 The EU Ministers for Foreign and European Affairs agree that EU Accession negotiations with Serbia should commence around the turn of the year. Spindelegger: "Clear Signal for Serbia and Kosovo Expected from EU Summit at End of June"
Montenegro's Prime Minister Milo Djukanovic met with Deputy Assistant Secretary of State for European and Eurasian Affairs Philip Riker. 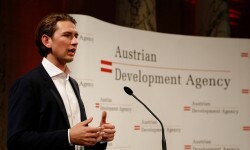 Austria to enhance transfer of know-how in regard to the fight against corruption. 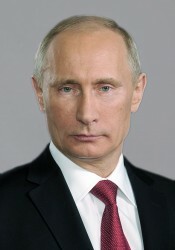 Russia to provide € 1.7bn for construction of South Stream gas pipeline project in Serbia. 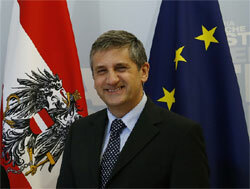 Serbia hopes to be able and make the next steps toward an EU membership. Spindelegger: "Brave Agreement Between Serbia and Kosovo Important Sign of Liberation for Entire Region"
On Friday, heads of Serbian and Kosovar government Ivica Dacic and Hashim Thaci have come to an agreement under the the special guidance of EU Commissioner for Foreign Affairs Catherine Ashton. 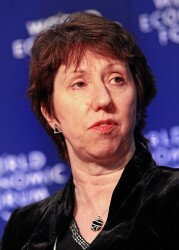 Commissioner Ashton announced that both countries have found an arrangement. 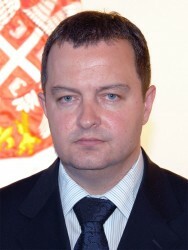 Butkevicius said that Dacic’s visit to Vilnius is an encouraging and positive change in relations between the two countries. 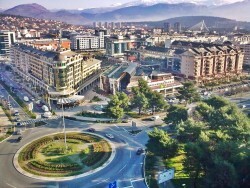 International mission in Kosovo to ensure complete protection of all citizens. It is probably one of the last chances for Serbia and Kosovo to make progresses for EU rapproachment. Today, president of the Parliamentary Assembly of the Council of Europe (PACE) Jean-Claude Mignon gave credit to Serbia’s progress in the execution of reforms and expressed faith in finding solution for the Kosvo issue. Young Albanians protest against an „Anti-Albanian“ policy. At today’s trilateral meetings in Brussels for the sequel talks about the association Serb municipalities in Kosovo a gloomy atmosphere between the parties is predominant. Neither Serbia nor Kosovo want to step down from their claims. 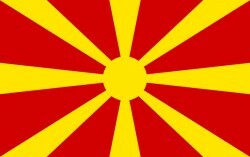 European Union and USA reject any change of boundery on the Balkan. 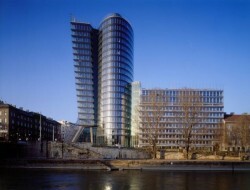 7 107 persons acquired Austrian citizenship in 2012. 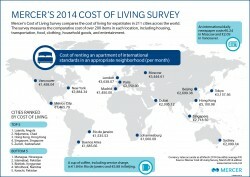 Regarding the purchasing power per head, Austria is significantly above the European average of € 12,802. 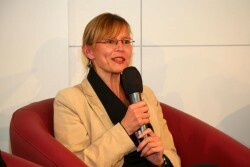 The Western Balkan country was recommended by the EU Commission. Serbia and Kosovo must reach a “sustainable solution”. The U.S. economist Paul Krugman thinks that Serbia´s future is the European Union. The EU is worried about the turn towards Russia. 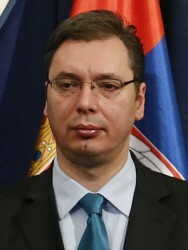 The Serbian government rejects making concessions to Kosovo. The EU accession may be damaged, however.